Perhaps we should love ourselves fiercely. Perhaps we should learn to speak more than one or two languages. 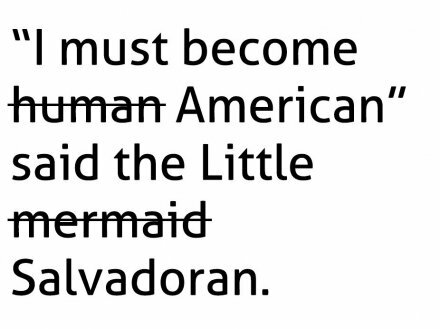 I think a lot about the distorted conversations we have over whether Latinos have retained their Spanish-speaking skills in English-speaking America. To me, it has always been a red herring: which colonizer languages do you speak and how many and how fluently? I speak English, Spanish and some German. My Nahuat however is poor at best. I’ll tell you the word I know in my language, the language that predates Columbus and the Spanish conquest, Catholicism, and myself: Cuzcatlan. The land of precious things. That is the word for the part of the world we came from. Not El Salvador, the savior, not Jesus, not Christ, but us. We were the precious things that land had in store, along with its beaches and volcanoes and sunshine. Now, we travel North, pushing forward away from lost families, gangs, drugs, into electric fences and dangerous deserts and artificially created borders that stand between us and our loved ones. Land of precious things, divided. As the precious things scatter across the continents and then across the earth, and we divide our tongues, and our souls, and our time, it becomes harder and harder to know who or what we are. The scientists on television have spoken of the end of the universe and time with the term “heat death.” They explain that everything is gradually scattering, moving away from everything else. Eventually, every particle will be so far away from the next that it will be impossible for any work or heat to be created. Heat death, the natural conclusion of entropy. Every precious thing divided infinitely so that nothing can ever hold on to something else. I think about the natural devastation of being separated from those we love: My hand, reaching out towards my mother’s as I get on a plane to go to college. My last words to my dog before I move to Europe, never to see him again. Signing a dotted line on a divorce document as my husband walks away with a younger woman. Every beloved thing, torn away from each other, suffers alone until at long last it succumbs to entropy, torn apart in the dirt, then all of its cells and molecules and atoms drift away, and one day those specs are separated in the dark eternity of space. There is no word for “Cuzcatlan” in English. Instead it is three or four words at best, each moment of love separated yet again by breaths and spaces. Perhaps we should love ourselves fiercely because there is no other way to love. We’ll be torn apart anyway, I’ve been told. So hold on to those precious things as long as you possibly can. All women, it is said, are ghosts. Or, maybe not. The category, or woman, is not stable enough, nor do we, as women who are not white, fully qualify as "woman" in the gendered world of our colonizers. But all ghosts are feminized. Ghosts are also an unstable category. Hell, I’m an unstable category. But between you and me, I believe there is a reason every culture on earth has the idea of a wronged woman who lives on long after her passions have died. You have, in El Salvador, the story of La Siguanaba, a young woman who bathes in the dark. Men come by to lust after her, but their greed will only kill them. The spirit in the water is already dead, a demon that only shows her true form to the men who cannot control their urges. But, I asked, my father, why is she dead? What killed her? Or was she always a demon? My sister was killed in a car accident in 1993, when someone plowed into the passenger’s seat of her boyfriend’s car. The boyfriend lived on, god knows where now, but she died instantly. If women cannot compel men to stay faithful and stop killing them in this life, it makes sense supernatural stories exist to urge men to repent or change their behavior: if you stop killing us, you’ll sleep well, you’ll find peace. But if you trade us out like old horses, if you throw us by the wayside when our lives are too complicated, if you kill us out of lust or jealousy, if you maim us because we turn you away, you will come to account. There is another world, a world which exists beyond this one, where we live on remembering. The woman, the ghost, remembers. She is the stain, the reminder, the rock. She cannot be removed or disposed of. She cannot die. You cannot silence her or forgive her or change her. She is immutable, because she is what you have already done. So is the spirit of the Latin American woman: The mestiza, the Afro-Cariba, the Maya, la Azteca, la Siguanba, with her carreta chillona, carrying the dead from one end of hell to the next before the earth opens up and swallows her. We are a people fascinated with death, because for many of us, it is the only place where wrongs will be righted. Come what may, we will come to account for the trespasses against this continent, for the colonization, for the genocide of these native and African women. And who else would remember, but us? She wanted very much to be an American but her parents explained that Americans were all monsters and no one should ever date an American. But the girl very much wanted a soul, and by soul I mean sus papeles, and so she visited the surface, I mean the border, on her 16th birthday. There from the fence she spied a beautiful celebrity, some Los Angeles pretty boy with flowing blonde hair and bubble blue eyes like chiclets. Her parents refused to let her cross, told her that the Americans would break her legs and kill her and feed her to their dogs if they caught her. “But my voice is all I have,” she said. The little Salvadoran said yes and opened her little mouth and let the Coyote take her tongue. When she woke up she was in Los Angeles, living in an ugly apartment with ten other girls, but she was determined to meet the prince. So she climbed up the side of the Hollywood Hill in her chancletas, her feet still bloody from a long journey she could not at all remember. In the distance she saw the prince, he was in a giant billboard kissing a white woman. The little Salvadoran cried and cried, for she had no tongue and could not return any more to her mother and father. In fact, she didn’t even remember where she was from. She didn’t even remember the name of the town or what they did there. She closed her eyes and tried to see her mother’s name but all she saw was the crud lining the big “HOLLYWOOD” letters. 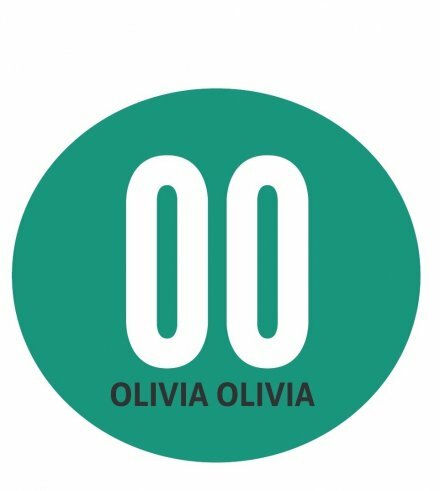 Olivia Olivia is a Salvadoran writer and blogger based in Portland, Ore. You can find her writing on Salon, The Rumpus, The Portland Observer, and Queen Mob’s Teahouse, and her work has been highlighted on NPR’s Code Switch. She is the author of No One Remembered Your Name But I Wrote It Down (Impossible Wings, 2015). Her writing focuses on the afterlife, gender, and ghosts, and her news stories follow race and social justice issues in Portland and beyond. Follow her bylines on Twitter, Facebook, or at oliviawrites.com.